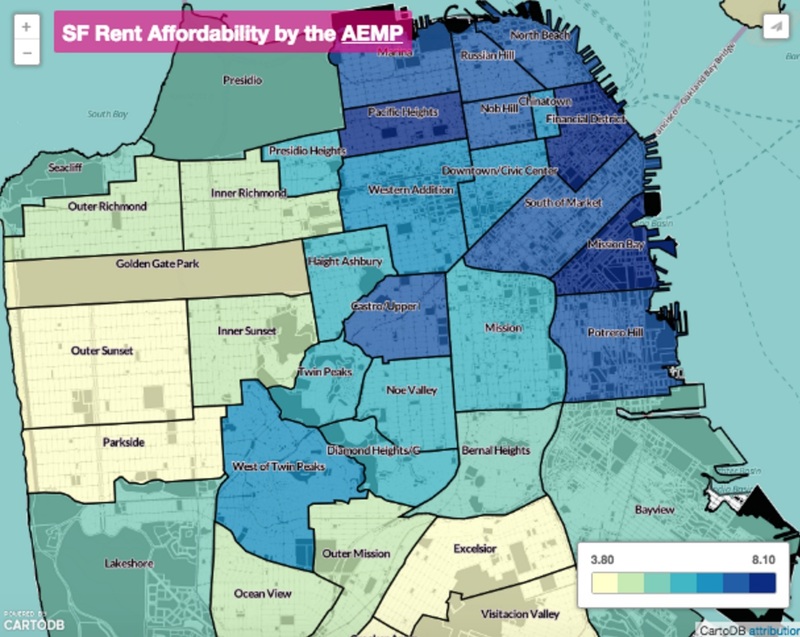 The Anti-Eviction Mapping Project (AEMP) is a locally produced data visualization and storytelling collective that uses visuals to educate the masses about the housing crisis in the Bay Area. Most fascinating are the highly specific maps the AEMP has created. Grouped into sections such as Demographic Maps, Tech and Displacement, Affordability, Public Space and Development and Speculation, they each tell a story worth exploring. One of the maps has even been featured on social media platform AJ+. Below are three maps we think particularly illuminate this wild ride we call the Tech Boom 2.0. Click the headlines to fully interact with the maps on the AEMP website. For Bay Area newcomers looking to either rent or buy property, here’s a color-coded breakdown of which neighborhoods are the most and least affordable. 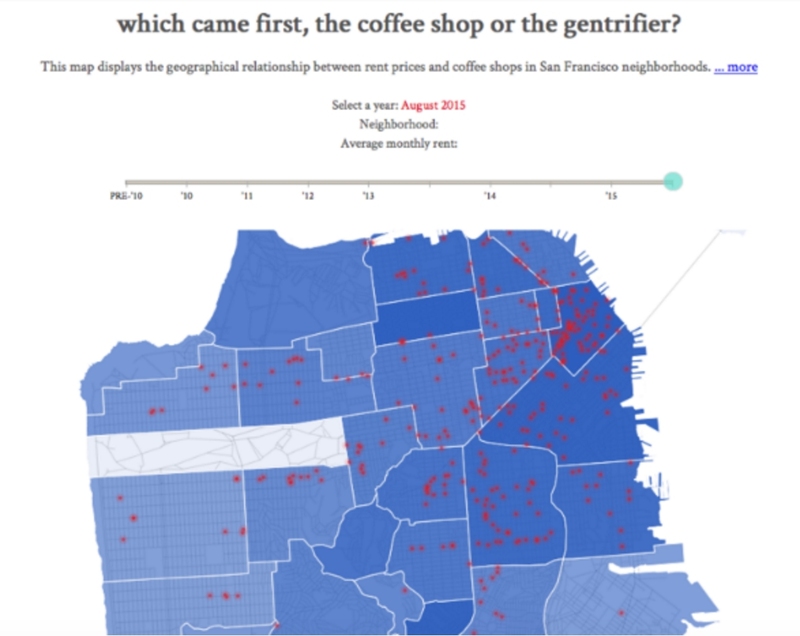 With the tongue-in-cheek title “which came first, the coffee shop or the gentrifier?,” this map shows the correlation between the number of coffee shops in a given neighborhood and the price of rent. Every day it seems blocks of new condos are popping up in the Mission neighborhood. Explore this map to see exactly how extensive those development plans are for the coming year. While Valencia Street has dramatically transformed over the last five to 10 years, it seems that the same will happen, and is already happening, to Mission Street.